Maybe it’s just me, but I can’t stand the term “buy-in” when it comes to change. It is one of these phrases that has outlived its usefulness, if in fact sustainable change leading to transformation is the ultimate goal. More often than not, this leadership tactic is put into play to get educators on board with specific mandates and directives that have been pushed down from either the state government or central office. In my opinion, this is the only time when looking for buy-in is appropriate because you really don’t have much of a choice in the matter. It is in these situations that leaders have to “sell” others on the importance of change whether or not they actually find value in it themselves. We have to do so by developing a concrete strategy comprised of compelling reasons to get staff on board with these changes even though we ourselves never actually bought in. As a principal this was always a tough pill for me to swallow. I often felt guilty as I addressed my staff with an elevator pitch loaded with reasons as to why these changes were needed. In these situations my role became more about selling change. Thus educational leadership in many regards has morphed leaders into sales reps who have to move an agenda forward even if the outcome will not help to positively transform school culture. It comes as no surprise that initiatives implemented through a buy-in approach rarely are sustained to a point where there is a noticeable lasting impact on culture. 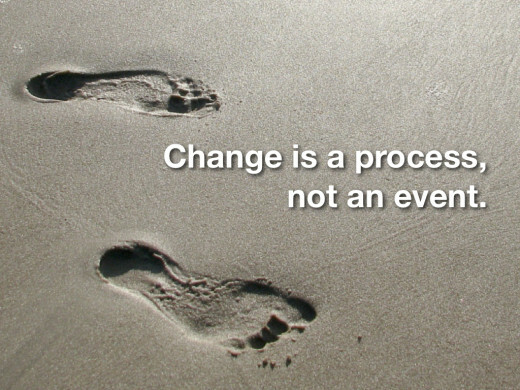 Real change that is sustained does not come from buy-in. If you have to sell people on change then you will always have to spend precious time keeping people bought-in. With buy-in the leader becomes, and remains, the focus of the change initiative. If there is one thing I learned during my time as a school leader, where many successful changes were successfully implemented over a short period of time, it was that change has to be embraced by all stakeholders. When educators have to be coerced through a buy-in approach animosity and resentment often follow. Our approach focused on putting our stakeholders in a position to experience the value of change firsthand. Instead of a one-size-fits-all methodology to moving the masses to where we wanted them to be, we instead identified those among the staff who exhibited powerful leadership attributes and empowered them to be agents of change. I still provided an overall explanation to my entire staff as to why we needed to change certain things and how we could go about it, but allowed everyone to go at their own pace initially. This allowed me to focus time, energy, and resource on a smaller group of go-getters who I had hoped would be the key. The calculated gamble paid off. This team of teacher and student leaders was put in a position to experience the value of changes we supported as administrators, but they championed through their successes. They owned the process and I shared their successes far and wide. I might have played my part by bragging about the successes this group experienced early on, but it was their actions that compelled their colleagues to move in a different direction and embrace change. There is nothing more powerful than the act of modeling when it comes to initiating and sustaining change. It is at this point that stakeholders embrace new and different ways of doing work because they want to, not because they have to. The true leaders of change are our teachers and students. Great leaders, in my opinion, remove all excuses by providing the necessary support. Place people in a position to experience firsthand the benefits of the change and they will do the hard work of moving the masses. Think about changes that you have made on a professional level. Did you have to “buy-in” in order to make those changes or did you embrace them once you experienced the inherent value for yourself? I would guess the latter and that is why the change took hold resulting in an improvement of professional practice. For change to be successful and last the test of time it has to be embraced. 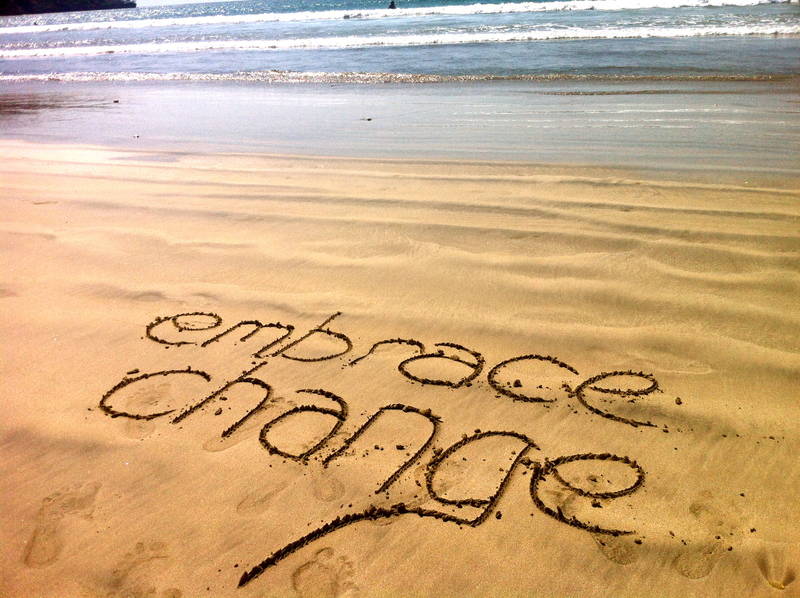 The next time you are in a position to implement needed change think about how you will approach it in a way that focuses on embracement as opposed to buy-in. I hope my physician doesn't need to buy in to a technique or latest practice that may save my life. It is our responsibility as educators to embrace change, continuously grow, and move forward. Education, like medicine, saves lives!